Although exporting .fbx works, it DOES NOT work with named scenes. 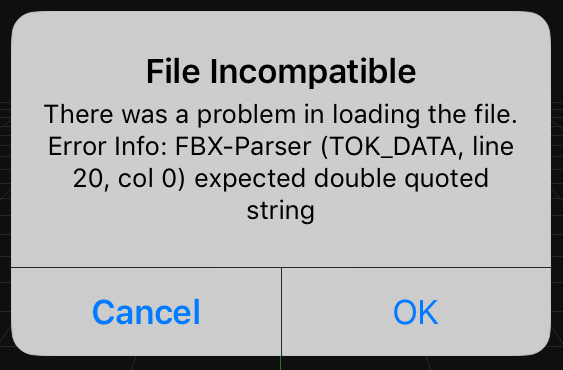 If you try to export a named scene to .fbx the scene will crash. Sorry to break the news. I’ve had the same issue, even with scenes named ‘Untitled’. However my biggest issue, is even when I do export to .fbx , it doesn’t work! Benztar odd, I have been able to export files without a name. It exports them as Untitled and I am able to load them in this application: FBX Review by Autodesk Inc. Have you tried viewing your model in a different application to make sure it isn’t the application you are using? Benztar I have just experienced what you were saying about it not working with a scene even named ‘UNTITILED’. I wonder if it has something to do with the complexity of the scene. We're investigating this bug. We know that if you create a scene, save it, go to browser, reopen it and then export, the app crashes. Seems like coming back to browser changes something in the format.